Our prices may increase or reduce. We recommend early booking to obtain our best prices. We guarantee that online bookings made on our own website will be the same price as any third party website. 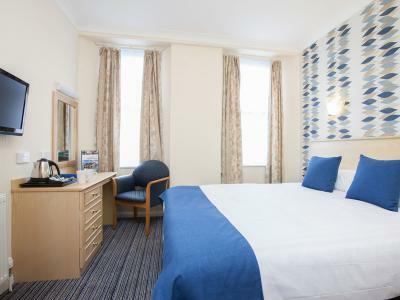 Standard double bedded room with en suite bathroom, TV & radio, complimentary tea & coffee, complimentary toiletries, direct dial telephone , free WiFi and hairdryers. All rooms are non smoking. 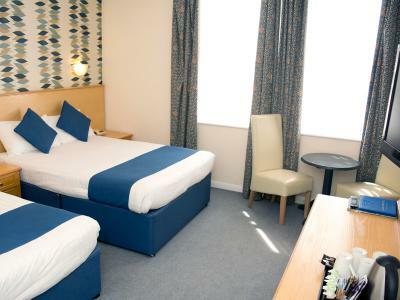 Lively and informal, the TLH Derwent is the largest of our Torquay hotels. We are located a short walk from the nearest beach, attractive harbour and town centre. Leisure facilities include a luxury spa, indoor and outdoor swimming pools, sauna, steam room, Jacuzzi, gym, games room, daily activities and evening entertainment. 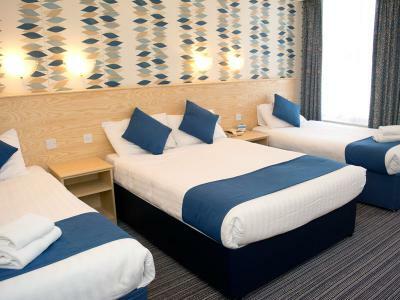 Standard twin bedded room with en suite bathroom, TV & radio, complimentary tea & coffee, complimentary toiletries, direct dial telephone, free WiFi and hairdryers. All rooms are non smoking. Standard room for 3 people with double bed and single bed, en suite bathroom, TV & radio, complimentary tea & coffee, complimentary toiletries, direct dial telephone, free WiFi and hairdryers. All rooms are non smoking. 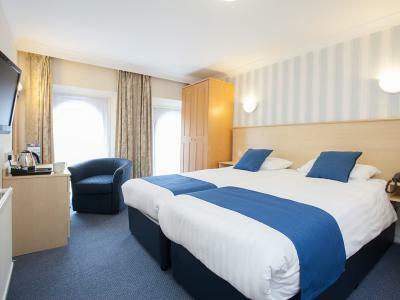 Standard room for 4 people with double bed and two single beds, en suite bathroom, TV & radio, complimentary tea & coffee, complimentary toiletries, direct dial telephone, free WiFi and hairdryers. All rooms are non smoking. 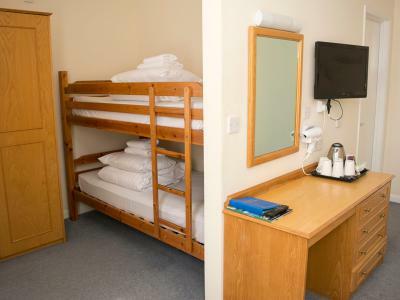 Standard room for 5 people with double bed, single bed and bunk beds, en suite bathroom, TV & radio, complimentary tea & coffee, complimentary toiletries, direct dial telephone, free WiFi and hairdryers. All rooms are non smoking.